Home / Kids / Happy Thanksgiving! Today is the day—Thanksgiving, hooray! The turkey is ready, the dishes are set, the pie is cooling on the counter and you still have an hour before the guests arrive! The kids want to play, but you want to sit. You’ve already read your latest load of library books, so what next? How about heading over to the Hoopla app on your phone or tablet and checking out these great read-along Thanksgiving titles to share with your little ones! A silly story featuring a mouse whose eyes are too big for his stomach! 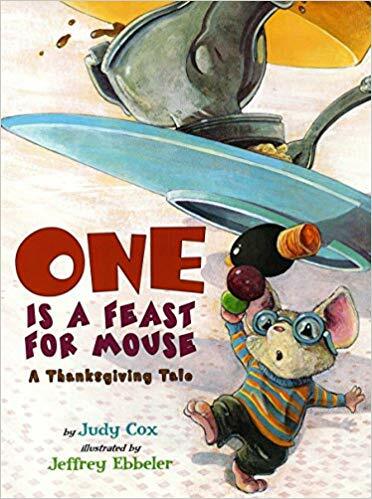 As the greedy mouse piles up the Thanksgiving leftovers to bring back to his home, he forgets about one important thing…the cat! What could be worse than Thanksgiving for a turkey? Asking the turkey to get on stage during the school play! Stage fright strikes, and the turkey is off! Can the students and teachers catch the turkey in time for the play? This is a simple story that explains harvest customs around the world and how the first Thanksgiving came to be. Simple enough for young children to grasp, it’s a great way to explain to children why we celebrate Thanksgiving.